With the increased health risks of diabetes, cardiovascular disease, cancer, arthritis, gallstones, infertility, sleep problems, asthma and cataracts that accompany overweight and obesity, losing weight is a high priority for many people. 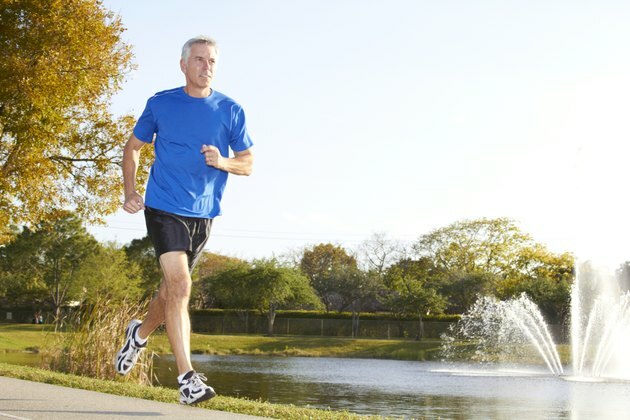 Running is a popular and efficient way to lose weight and improve your health. Check with your doctor before beginning any new exercise or weight-loss program; he will be able to help you tailor a workout routine appropriate for your physical condition. To lose 1 pound, you must burn 3,500 calories more than you consume. How many calories you burn each day will determine how long it takes for you to lose 20 pounds. If you weigh 150 pounds, running at a speed of 8 miles per hour burns 919 calories each hour; if you weigh 200 pounds, expect to burn 1,225 calories each hour of running. If you burn 500 calories each day running, you will lose 20 pounds in 20 weeks. 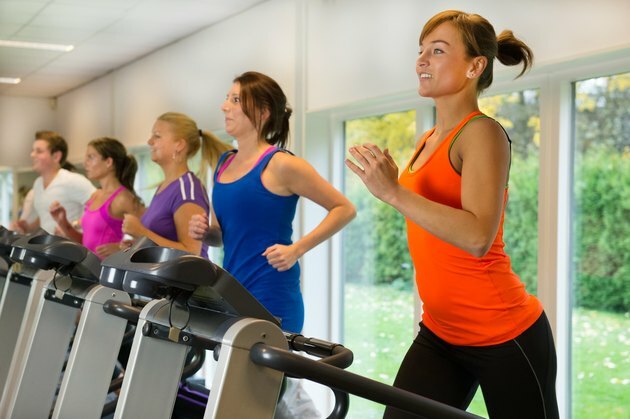 If you burn 1,000 calories running, you will lose 20 pounds in 10 weeks. If you want to lose the weight quickly, combine a running routine with a healthy, low-calorie diet. 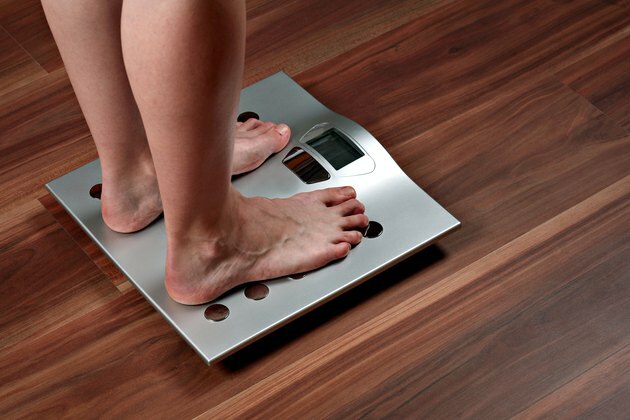 Losing weight quickly is a goal for many, but losing weight too quickly can lead to poor health. The Centers for Disease Control and Prevention suggest losing only 1 to 2 pounds per week, which means that losing 20 pounds can take 20 weeks or more. To stay healthy and lose weight quickly, aim to burn enough calories through running and maintaining a health diet to lose 2 pounds per week, or 1,000 calories per day. You can lose 20 pounds quicker by adding intervals to your run. Intervals, or alternating your speed between short bursts of vigorous exercise and longer stretches of moderate activity, can increase the number of calories you burn each workout and decreasing the amount of time it takes to lose 20 pounds. Jog for two minutes at 6 miles per hour, then increase your speed to 8 miles per hour for 30 seconds or a minute, depending on your physical condition. When you first start running, do not run too fast or for too long or you will increase your risk for injury. Instead, run for only 20 minutes each day and only three to five times per week. Gradually increase the duration and frequency. If you need to, slow down and walk until you feel ready to run again. Invest in a high-quality pair of running shoes that complement your stride and to increase the efficiency of your run.